"I'll make my praise brief. 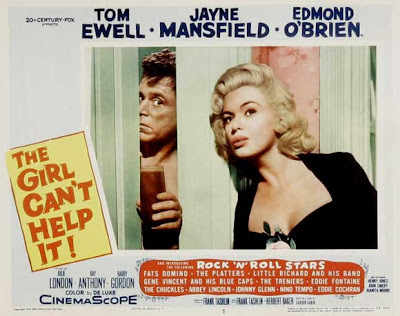 The Girl Can't Help It is more than a good film, more than a funny film, more than an excellent parody; it's a kind of masterpiece of the genre...Tashlin exaggerates Jayne Mansfield's statuesque figure with false breasts and the rest of it, but instead of ridiculing her, he makes her a likable and moving personality, like Marilyn Monroe in Bus Stop...it's funny all the way through, and beautiful all the way through as well...I had the chance to see The Girl Can't Help It three times before I finished these notes. Like all great films, it's more beautiful and successful each time you see it. You laugh less, but you love it each more each time, and you feel increased emotion."